Cape Town Fish Market is a vibrant restaurant, fish bar, teppanyaki, and sushi bar with a stylish yet warm and comforting vibe. The menu offers a large variety of delicious combinations of South African and Japanese dishes. Customers can choose their seafood from the fresh fish market, and all dishes are prepared according to preferred proportion of the customer. The restaurant also caters for vegetarians and for those who prefer meat and poultry. The kiddies menu offers a range of meals from fish and chips to burgers and chocolate brownies. The drinks menu includes cocktails, white, red and sparkling wine, and non-alcoholic beverages, coffees, and liqueurs. 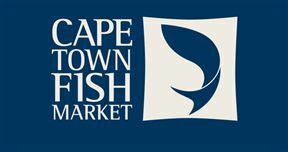 Cape Town Fish Market Southdowns is 2.2km from the centre of Irene , the nearest airport 7.1km (Waterkloof AFB Airport).